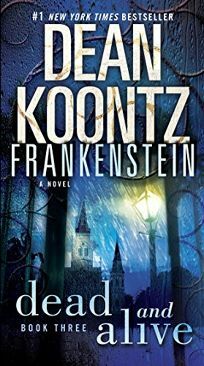 In this fast-paced third installment of his Frankenstein series, Koontz continues, without necessarily concluding, his modern-day reimagining of Mary Shelley&apos;s horror classic. Leaving his co-authors behind, Koontz makes the most of previous developments, which set the stage for an epic showdown in storm-soaked New Orleans between Victor Helios and the high-tech, artificial beings he created to destroy the human race. Many members of the unhappy, soulless ""new race,"" created by Helios to kill his enemies, have turned their hatred back on their master. Deucalion, a centuries-old giant who was the madman&apos;s first, flawed human creation, leads an uprising of creatures that includes a naked troll and a slithering chameleon. Though big developments await fans, Koontz hints that he may not be done with this violent monster tale, a project that has taken him deep into sci-fi territory. Witty characters provide relief from the story&apos;s dark undercurrent, though Koontz knows, perhaps better than ever, how to scare his readers without resorting to gory details.